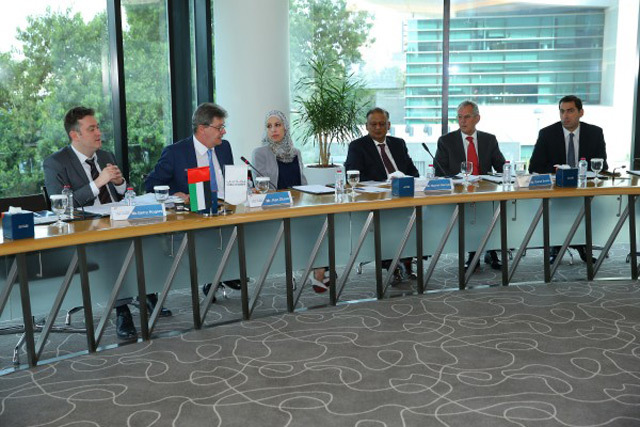 The Dubai Chamber of Commerce and Industry recently hosted a workshop, which provided the business community with more clarity on the existing real estate laws in the UAE and the recent regulatory developments impacting the sector. The workshop, led by Dubai-based law firm Galadari Advocates and Legal Consultants, was held at Dubai Chamber’s premises and attended by Dubai Chamber members, lawyers and legal consultants, brokers, agents, investors, counsel, and contract administrators, all of whom are associated with the real estate market. The workshop, entitled “Insight into Real Estate Laws,” was led by several experienced lawyers from Galadari Advocates and Legal Consultants who specialise in real estate, corporate, litigation and arbitration, including Ken Dixon, Partner; Gerry Rogers, Senior Associate – Corporate and Commercial; Manish Narayan, Co-Head Real Estate Projects; and Daniel Brawn, Senior Associate – Construction and Arbitration. Dixon noted that several recommendations were shared with participants during the workshop to mitigate risks, while attendees were made aware of the standard documents that are required for various types of transactions. Jehad Kazim, Director of the Legal Services Department, Dubai Chamber, stressed the importance of organising such workshops as the UAE real estate laws are updated frequently in line with the requirements of the fast-growing market, adding that it is imperative that the business community stays up-to-date on changes and matter impacting the sector.